Cumberland alumna and retired judge Helen Shores Lee passed away on Monday, July 2 at the age of 77. The daughter of famed civil rights attorney Arthur Shores, who defended Martin Luther King Jr. during the Montgomery Bus Boycott, Lee was determined to study the law to join her father in his occupation. Prior to entering law school, Lee worked as a clinical psychologist. Following her graduation from Cumberland in 1987, she began practicing law with her father. 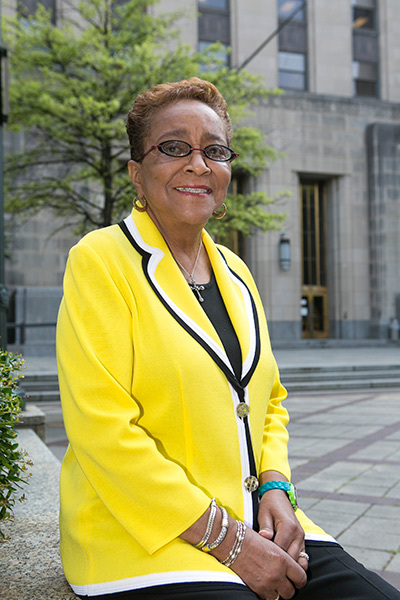 Lee was the first African-American woman to serve on the Jefferson County Circuit Court. She was appointed as a circuit judge for the 10th Judicial Circuit of Alabama in 2003 by former Governor Don Siegelman and then elected to her first full term in 2004. She retired from her post in 2017. In 2013, Lee was honored by the Young Women’s Christian Association (YWCA) of Central Alabama for her decades of commitment to civil rights and community service. In 2014, she was named Samford University’s Alumnus of the Year. And, in 2018, she was honored by Samford as an inaugural recipient of the Audrey Howard Gaston Award commemorating the 50th anniversary of integration on campus. "Judge Lee was a cherished alumna of Cumberland School of Law and a giant in the Birmingham community," said Dean Henry C. Strickland. "She grew up during some of the darkest days of the civil rights movement and experienced first-hand the violence of those who opposed equal rights. She persevered and worked peacefully with her father and others to make Birmingham and the country better and more just. The world is a better place because of Judge Lee. May we honor her by continuing her work," Strickland added. Lee is the former director of Clinical Outreach Services for the Jefferson County Department of Health. She served on the Alabama State Ethics Commission from 1996-2000 and was the organization’s chairwoman from 1999-2000. Lee and her sister are co-authors of The Gentle Giant of Dynamite Hill, a book about growing up in Birmingham, Alabama with their father, Author Shores.